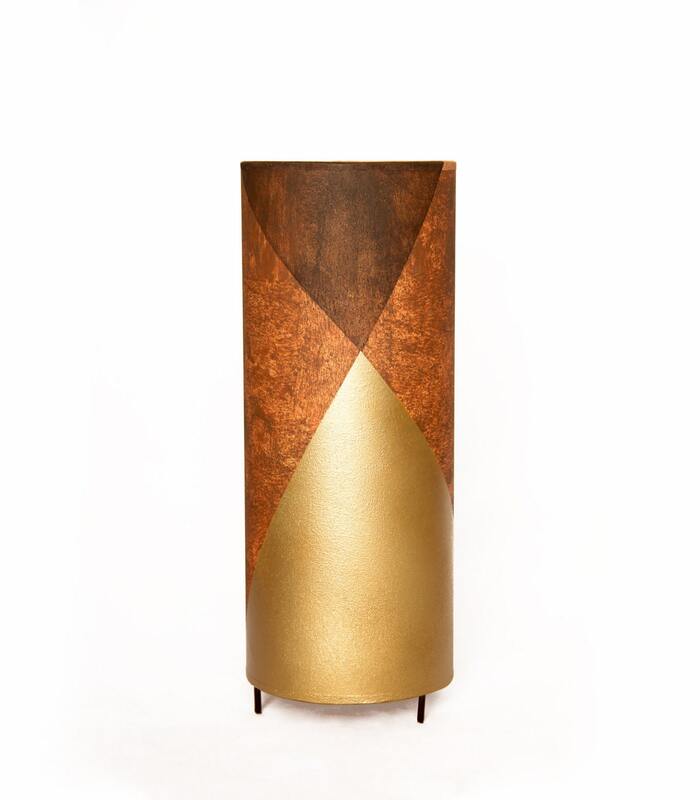 This table lamp is part of our new MUTTER collection. It is handcrafted with great care and professionalism. With the influence of the firsts oils on canvas by my mother (she's a painter) and a bit of the first Bauhaus School in Weimar and the images that I remember when I studied this; Its lines, its propagandistics posters, its xilography, etc. 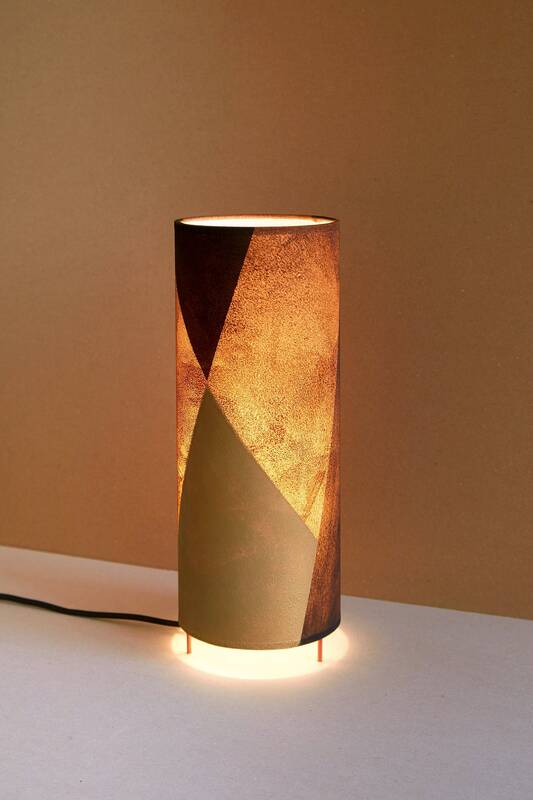 With all this mixed is born the inspiration to make this lampshade collection with my hands. 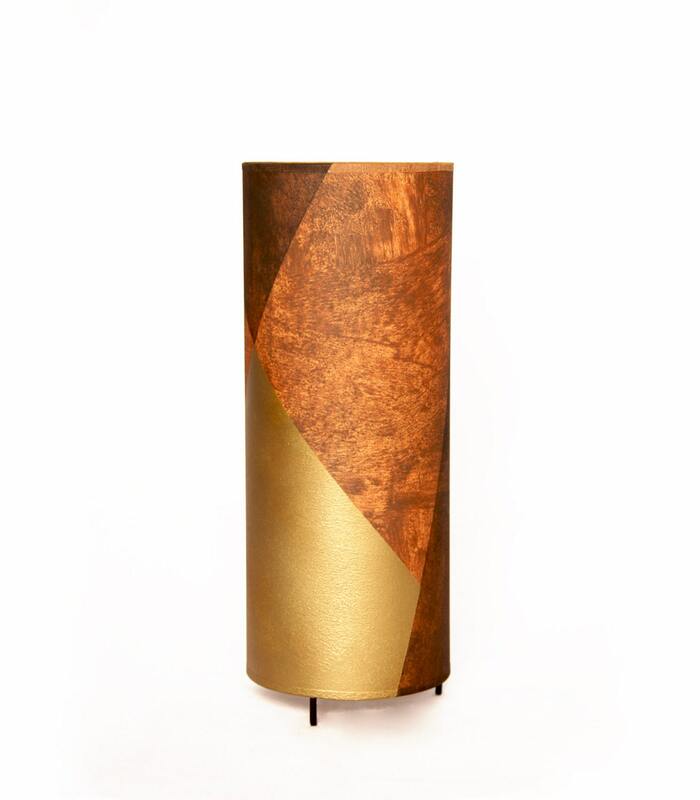 The elegance of this lamp gives a warm and cozy touch to your space with its beautiful golden and rust-colored hues which become more intense when the light from the bulb is seen through the screen.